Product prices and availability are accurate as of 2019-04-18 18:38:54 EDT and are subject to change. Any price and availability information displayed on http://www.amazon.com/ at the time of purchase will apply to the purchase of this product. 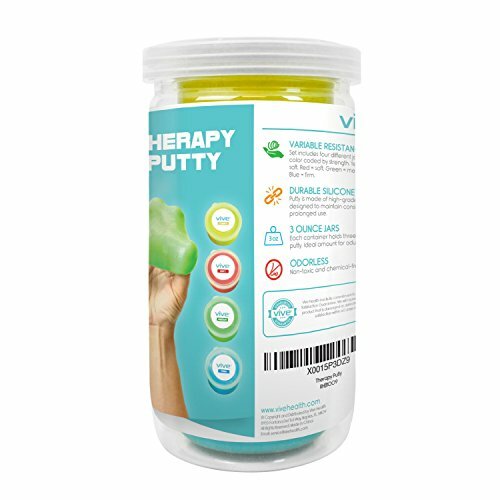 Therapy Putty for Occupational Therapy and Physical Therapy. Set includes four different jars color coded by resistance. Yellow = Extra Soft , Red = Soft, Green = Medium , Blue = Firm. This is great for rehabilitating finger and hand injuries. Start with the Yellow puddy (Extra Soft) and work your way up to Blue(Firm). This is also a great product for releasing stress as well as helping you think! We stand by our products with excellent customer service and a 60 day warranty. 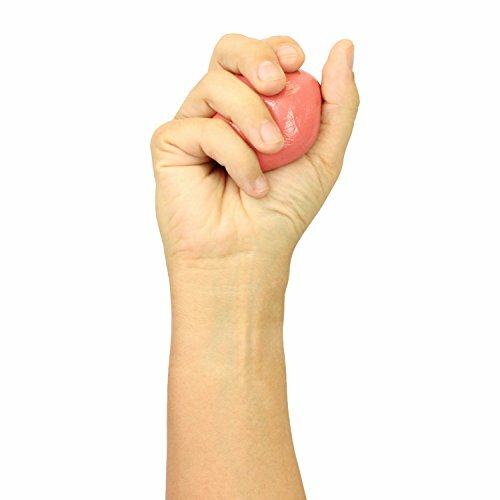 EASY HAND STRENGTH TRAINING: Perfect for rehabilitation, physical or occupational therapy, therapy putty is used for strengthening the hand muscles, improving fine motor skills and relieving stress. 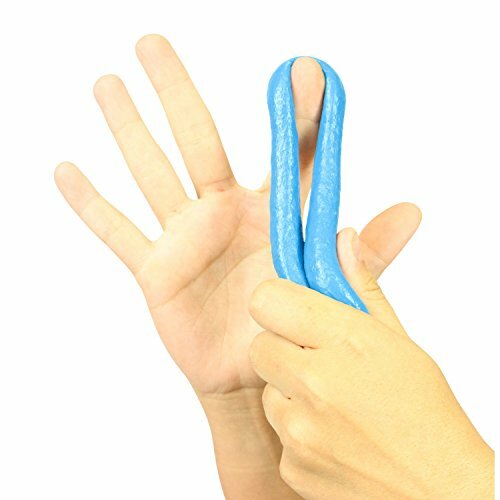 Variable resistance putty can be squeezed, pinched, stretched and twisted to effectively work the hand muscles. FOUR DISTINCT RESISTANCE LEVELS: Gradually increase hand and grip strength with four distinct levels of resistance putty based on industry standard recovery protocols. Varying from extra soft to firm, each easy to open container holds three ounces of putty. 3 OUNCES OF EACH COLOR: Each three-ounce container of therapy putty is color coded by resistance level for additional convenience. The yellow putty is rated as extra soft. 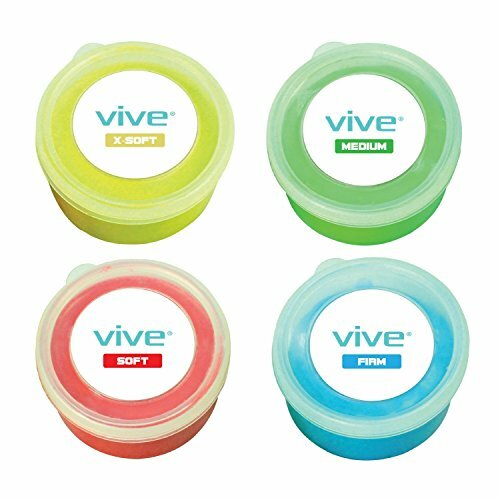 The red putty is soft, the green is medium and the blue putty is rated as firm. 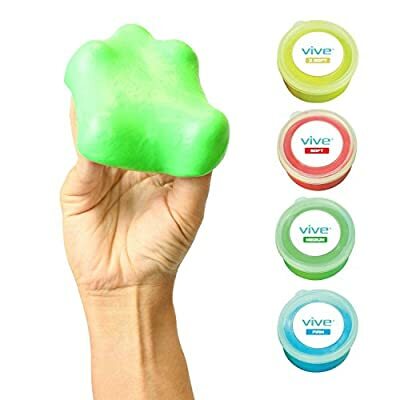 ODORLESS, NON TOXIC SILICONE : Composed of an odorless silicone, the therapy putty is non toxic. Latex free, the silicone putty is durable and able to withstand extensive use without graining or seeping. VIVE GUARANTEE: 60 day unconditional guarantee so you can purchase now with confidence.